When you’re booking a family vacation, there are likely a few priorities at the top of your checklist. More than a traditional hotel room offers, perhaps you need more space, more flexibility, or even more privacy. Enjoy all the service and amenities of a resort in the comfort of a 3, 4, or 5-bedroom home. These are just some of the attributes pushing even more families to choose rental homes over classic hotel rooms. Luckily, for travelers to Nicaragua, Mukul has both! Whether you decide on our luxury units at Las Terrazas, or our Verdemar ocean view villas, enjoy concierge service, transportation in and around the property, in-house amenities and services, and seamless access to all restaurants, Spa Mukul, and the members' Tres Ceibas Beach Club. Here, five perks of resort residences you may find beneficial on your next family getaway. Even the most luxurious of hotel rooms can be tight on space. With kids and extended family in your group, it can be a work of art to fit your luggage and beach gear all under one roof, while still having enough space to move freely about the room. This is where resort residences can be a true prize. When you’re in a larger space with multiple bedrooms, bathrooms, and a full kitchen at your disposal, you simply have more freedom. There are usually plenty of beds (everyone can get their own! ), plenty of closets to tuck your travel gear out of sight, and you will likely have quite a few TVs; there’s no need to bicker over watching cartoons or the morning news. When booking a rental home, you have the flexibility to create your own schedule, which will allow you to eat, drink, and be merry outside of traditional hotel timelines. You can eat breakfast after 11 a.m. or start happy hour before 5 p.m., granting you full control over what you do and when. This will ensure the everyone in the family is always content and operating on their own terms! Let’s face it: sometimes you want to enjoy your morning coffee in your robe without the pressure to get dressed and join other guests at your hotel’s dining room. Or, perhaps your family wants solo pool time – it’s easy to feel self-conscious when your kids are tossing balls back and forth and screeching with delight, while other beach loungers are there for relaxation or to read a novel in the sun. At a resort residence, you’ll likely have your own pool and own space to completely kick back and relax. If you have a larger family – more than one child, usually, and a grandparent along for the journey – you will likely need to book more than one hotel room. With a resort residence, you can all be under one roof, while still having your own private bedroom and ability to have your own space for moments when you prefer privacy. 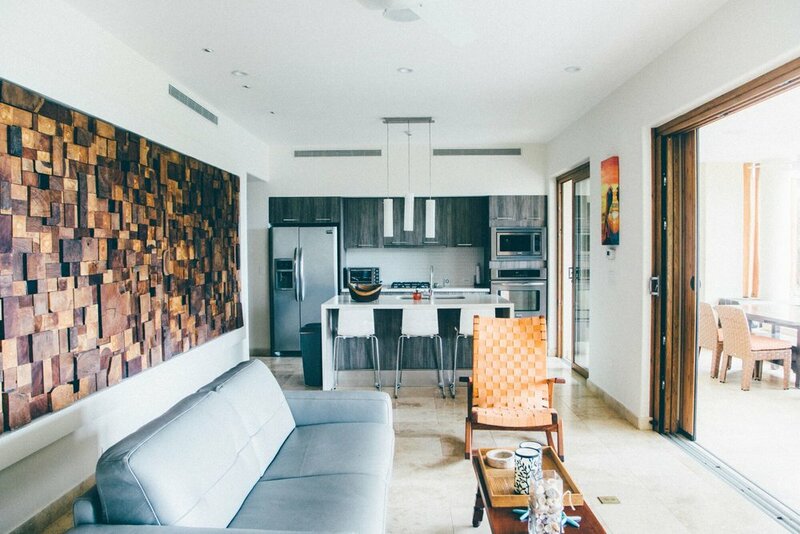 If you opt for a resort residence, you will have a kitchen at your disposal. This presents the perfect opportunity to visit local markets and grocery stores to purchase ingredients only available in your destination, which is a great way to get to know a local culture. Interact with fruit vendors or fish mongers, and enjoy preparing a homemade meal with your family. Check out all your options here.